For information about sponsorships, please contact Nadine Bartholomew, Marketing Director, via phone at 301-516-7300 ext. 114. EPIC employs three full-time nurses experienced in providing appropriate nursing care for people with intellectual and developmental disabilities. A nurse will always be available to individuals participating in our programs. 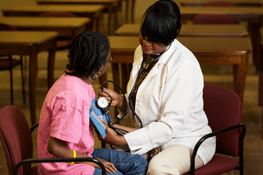 Individuals in our residential program receive 24 hour nursing coverage as well as a nursing assessment and care plan.